Yesterday, my bff Jen told me about a recipe from "Modern Vegetarian Kitchen"... so I tried it tonight. 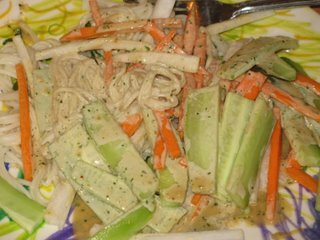 It's called "Cold Sesame Noodles with Radish and Cucumbers". 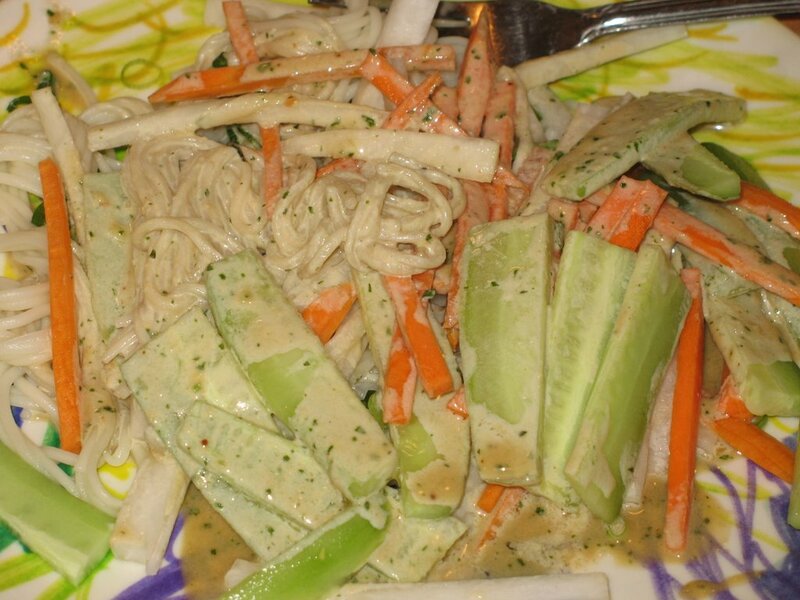 It's got udon noodles, cucumber, daikon radish & some great tahini sauce (I also added in some carrots). I thought it was pretty good, but I'm not sure I'm in love with it. The sauce though, is very good. Tonight my fella Musty (aka The Eating Machine!) 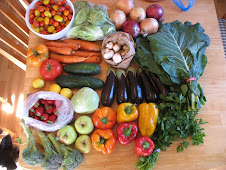 is feeling under the weather, so he skipped dinner... which means we've got a LOT left over! I also made up a recipe of baked tofu. It's based on the "Asian Tofu" recipe from VwV. Pretty yummy... but - to my surprise - I wish it were a bit saltier! I guess I can always add a bit of soy sauce. Anyhow, I had a few slices of this with my noodles too. I love any kind of Asian noodle dish. 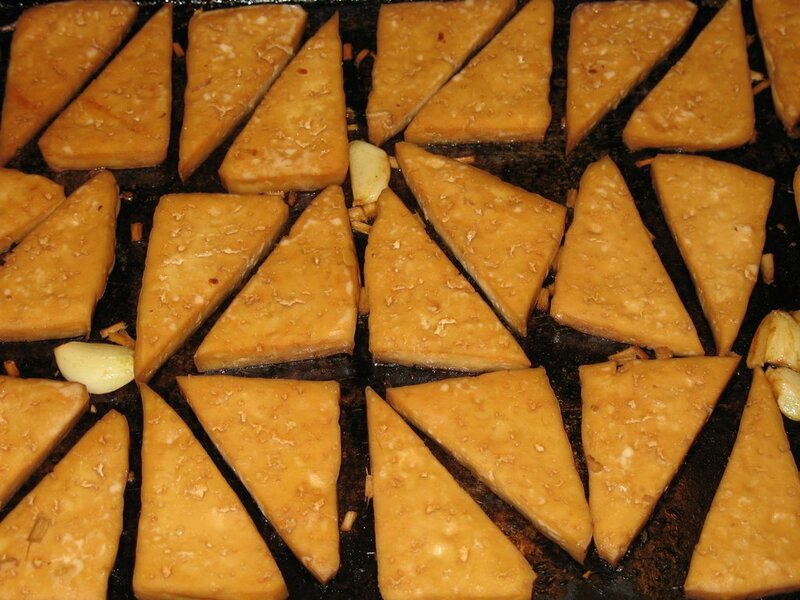 Your tofu traingles are so perffect & perky. Yeah... I pretty much love ALL noodles... asian, italian, and any others I can't think of. Hee hee... these tofus really did turn out picture perfect. I guess sometimes you win and sometimes you don't!